While trains and flights were operating as per schedule at the time of writing, roads bore the brunt of the protests as burning tyres could be seen at various places in Assam to prevent movement of vehicles. A number of students’ organisations and political parties across have called a an 11-hour North-East bandh on Tuesday, to protest against the Citizenship (Amendment) Bill. The NE bandh began amid tight security at 5 am. In Assam, the Asom Gana Parishad (AGP), which withdrew support to the BJP-led state government on Monday, is supporting the All Assam Students’ Union (AASU) that has called a state-wide bandh after a gap of 10 years. The bandh has the backing of opposition Congress, AIUDF, and Krishak Mukti Sangram Samiti. Security arrangements including patrolling by police and paramilitary forces have been intensified across the state. Quoting police, a PTI report said vehicles were damaged in Guwahati, Tinsukia and Dibrugarh districts. In Guwahati and Dibrugarh district, protesters tried to block railway tracks but were removed by the GRP. According to reports, private vehicles and long-distance buses stayed off roads, even as shops, markets, financial institutions, educational institutions and private offices remained closed. Government offices opened but attendance was said to be thin. The bandh call has been given by the North East Students’ Organisation (NESO), an umbrella organisation of student unions including AASU, and several student bodies from the region have responded positively. In Assam, the bandh has the backing of 30-odd ethnic organisations too, says the PTI report. NESO member organisations Mizo Zirlai Pawal (MZP), All Arunachal Pradesh Students’ Union (AAPSU), Khasi Students Union (KSU), Garo Students Union (GSU), Naga Students’ Federation (NSF), All Manipur Students Union (AMSU) and Twipra Students Federation (TSF) are also supporting the bandh. The Citizenship Amendment Bill seeks to amend the Citizenship Act 1955 to grant Indian citizenship to people from minority communities such as Hindus, Sikhs, Buddhists, Jains, Parsis and Christians from Afghanistan, Bangladesh and Pakistan after six years of residence in India instead of 12 even if they do not possess any proper document. 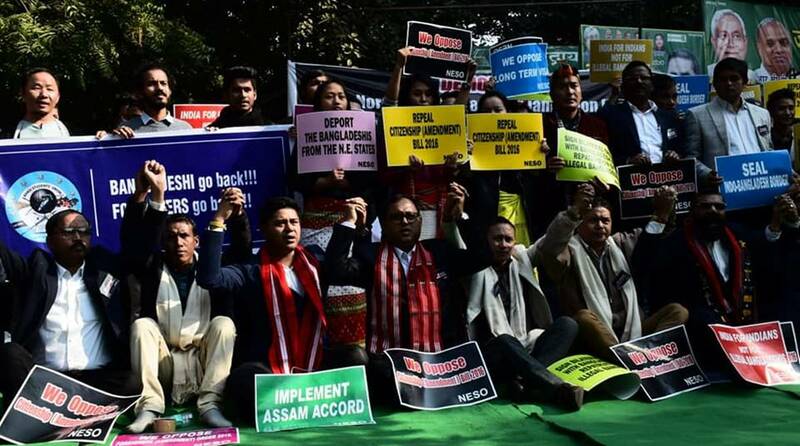 The NE bandh call however evoked response in the Bengali-majority Barak valley too, where Prime Minister Narendra Modi announced on 4 January that the Citizenship Amendment Bill would be passed as a “penance” for “past injustices”. 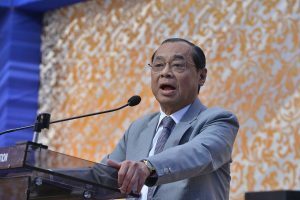 Several groups in Assam, including AGP, have said the provisions of the Bill will nullify the 1985 Assam Accord that provides for deportation of all illegal migrants, irrespective of religion, who had entered the state after March 1971.